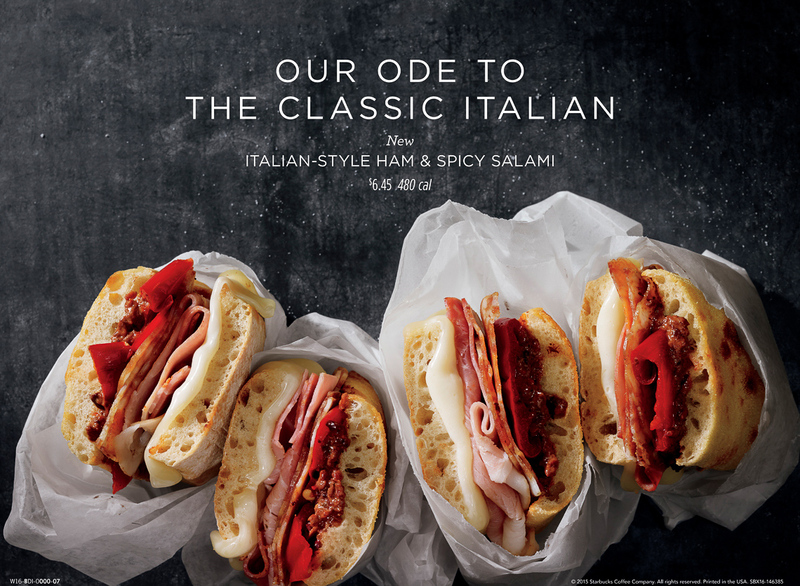 Robyn Valarik San Francisco Based Food & Drink Stylist - Starbucks, spicy, salami, Italian-style, mozzarella, melt,crusty bread. parchment paper, wrapped, roasted red pepper, overhead photo. Advertisement.